We’ve been fishing in Iceland for many years now and the focus in the beginning was Atlantic Salmon. During this time we were also traveling to Patagonia to fish for sea-run browns. Our friends in Iceland also described world-class Seatrout and Trout fishing. Once we gave it a chance we realized the trout fishing was every bit as good as they claimed! Today we operate on the Litlaá and the Eyjafjarðará. 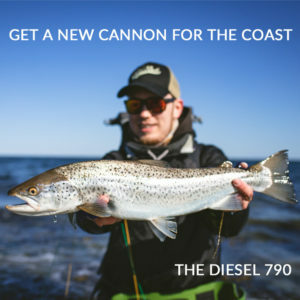 Both offer fantastic Seatrout and Trout fishing. 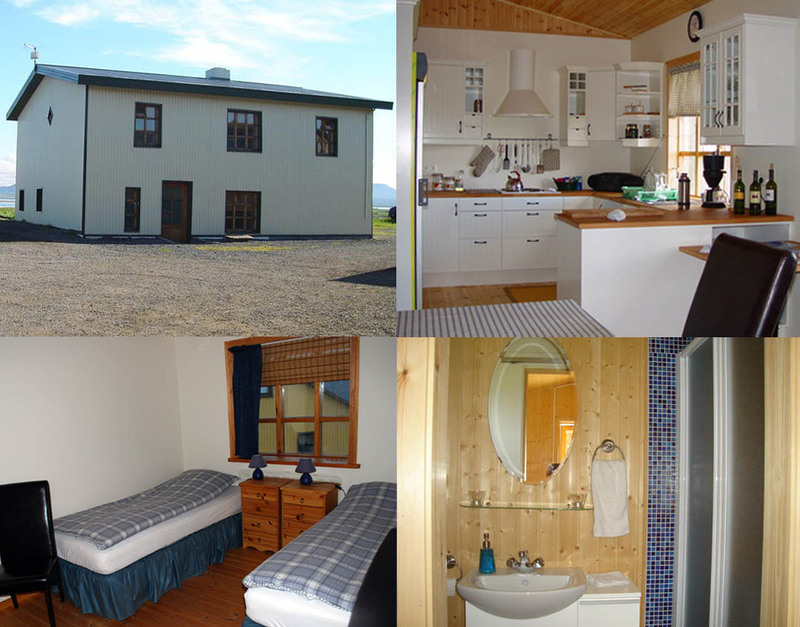 With Iceland lying between Europe and the US, access is quick and comfortable. Beyond trout, the nearby Skjálfandafljót has one of the best Salmon runs in the country. This river is rarely sold to visiting anglers and when it’s good, it’s hard to beat. We have special access. Our guests can combine a couple of days with the trout fishing for a rare, risk-reward experience. The Litlaá is the highlight of a unique ecosystem on Iceland’s north coast. Kelduhverfi is one of the most earthquake prone regions in Iceland. Many earthquakes in the late 70s caused the area to sink and flood transforming the landscape. This formed Skjálftavatn, or earthquake lake. Today, Skjálftavatn provides part of the headwaters for the Litlaá. The river is spring-fed and maintains a constant temperature of 12-15 degrees throughout the year. The Litlaá runs a short seven kilometers or so from the lake down to Öxarfjörður. Migratory fish traverse the distance in a very short time. Seatrout, Arctic Char and Brown Trout are very concentrated in the system. The high density of Stickelback and rich insect life ensure a year-round food supply. The river is easily covered with #5 & #6 rods though a #7 can be useful on the wider sections or if the wind is up. 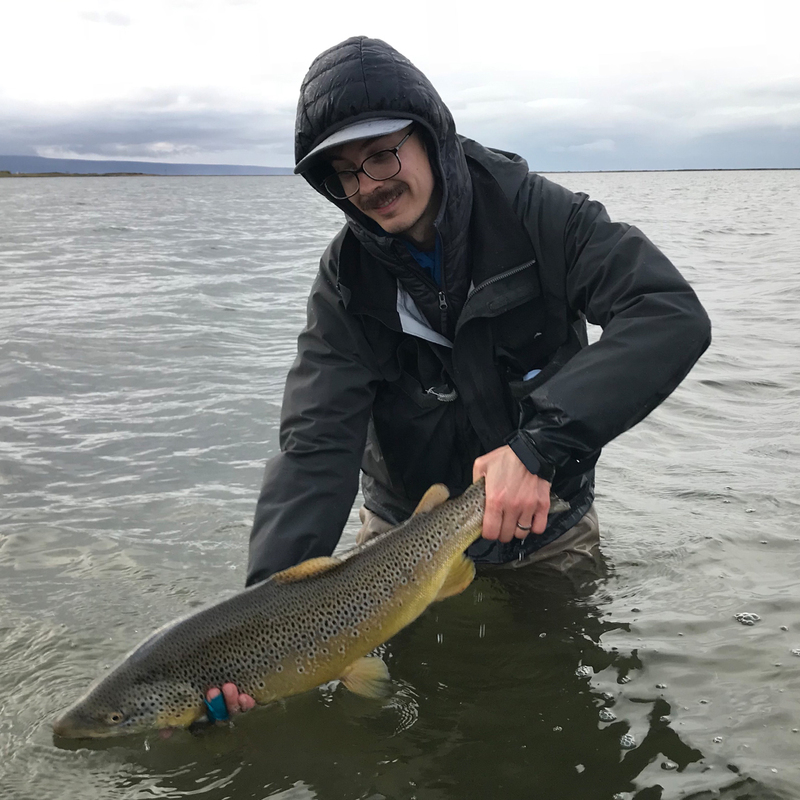 All methods are effective from dry flies and nymphs to streamers. Fast-stripped streamers in the surface induce brutal takes and stunning visual fishing. 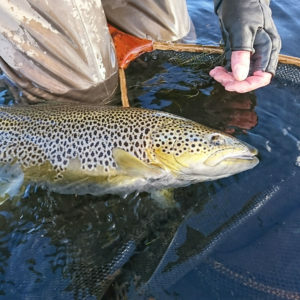 Trout often track the streamers across the pools before exploding on them. Fishing the Litlaá is fly only and no-kill regulations are strictly enforced. The river has been well cared for over the years and the result is a remarkable fishery. 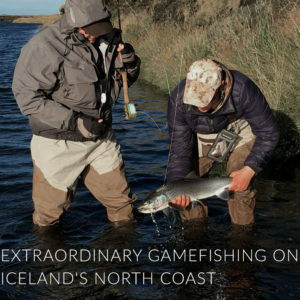 Litlaá fishes five rods and transport is by 4×4 typically with one guide to 2-3 anglers. Though relatively short, the river is broad below the headwaters and very different from most rivers in Iceland. Wide meandering pools with cut-banks are typical of the middle and lower section. There are classic glides, riffles/rapids and defined pools in the top. Like most rivers in Iceland, fishing begins at 1500hrs on the first day and ends at 1300hrs on the last day. The midday shift change allows for stress-free ingress/egress from the airport in Akurueyri 90 minutes away. It also means for example, that four “days” fishing equates to five days on the river (two half-days and three whole days). Fishing generally ends by 2200hrs each evening though the Autumn evenings are somewhat shorter. We reserve the Keldunes Guesthouse for the time slots our clients use to fish the river. Located at the headwaters between the springs and the lake, Keldunes offers the absolute best access to the river. Anglers grinding it out during long days of fishing have every comfort. It’s a two-story, open-plan house with a fantastic view of the lake. There is an adjacent garage/dry-room for changing and hanging waders and jackets. The bedrooms are comfortably furnished. There is a spacious common room on the top floor beside the kitchen for mingling and dining. Hearty Icelandic table fare from local sources is plentiful and prepared to perfection. Together with our Icelandic partner, Reliant offers a complete ground package. This includes transfer, fishing/guiding, lodging and food. The price excludes Alcohol. We have a few autumn slots remaining for 2019. Contact us at info@reliantfishing.com for information regarding availability. 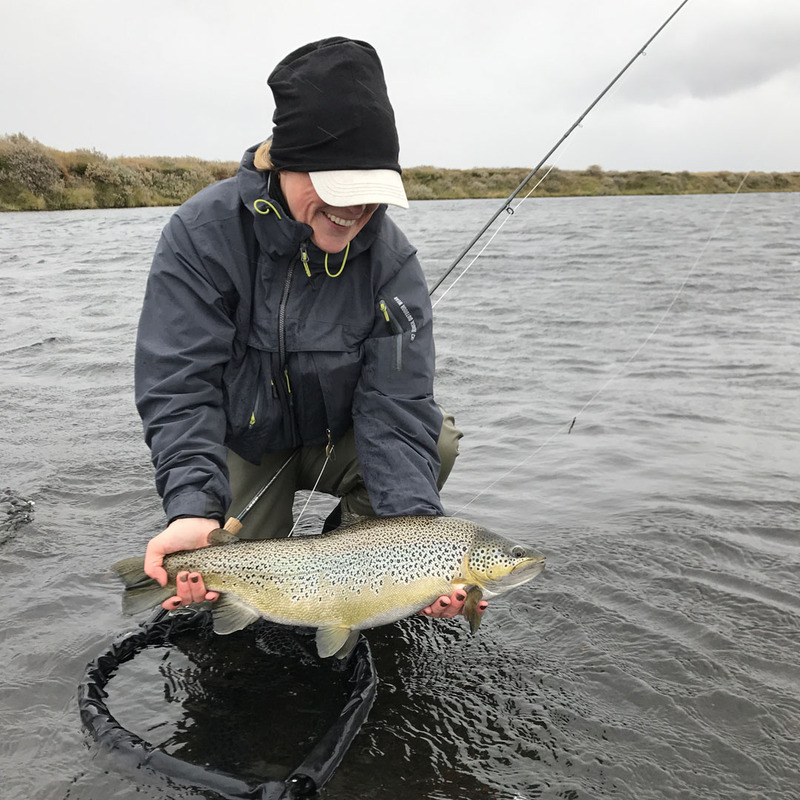 This river has long been number one in all of Iceland for large Arctic Char and in recent years Seatrout numbers have steadily increased. 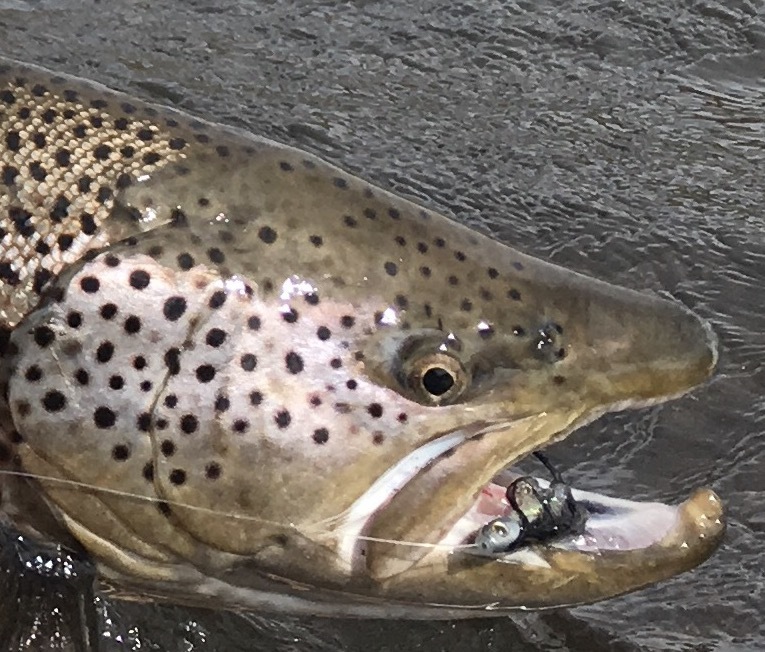 Eyjafjarðará Seatrout are large and well-formed and they take the fly well. Like most rivers in Iceland, the Eyjafjarðará is diligently working on conservation. The season breaks down into limited harvest for the heavy run months. The river has a catch and release policy for the sensitive part of the season. This has dramatically improved the fishing. Eyjafjarðará is 70 kilometers long and is large and braided in the lower sections. 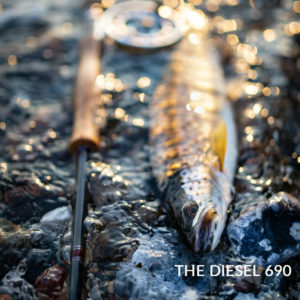 During the summer period from 20 June until the end of August the river has six beats with two rods each. 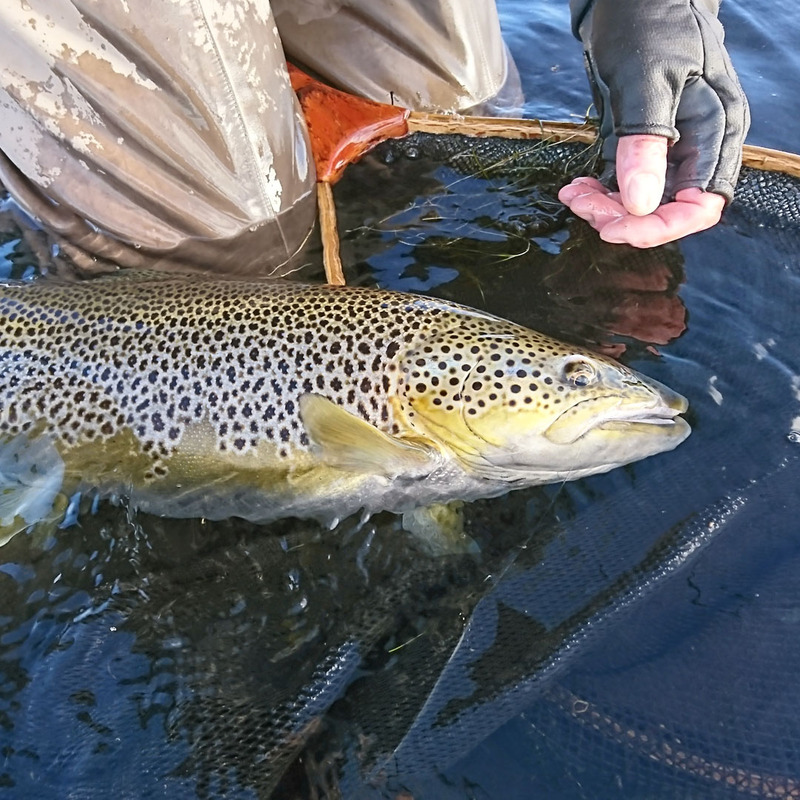 During September the upper spawning pools close and there are eight rods in four lower beats. We provide local, experienced guiding along with transport to, along and from the river. 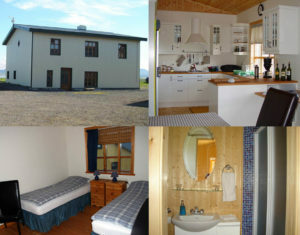 We also provide accommodation which can range from a fully-catered summer house or a do-it-yourself cottage. One can even choose to stay in a nearby city hotel. Like the Skjálfandafljót, the Eyjafjarðará provides a nice diversion for a couple of days when combined with the Litlaá. All three river systems are within easy reach of Akureyri and any combination of the three will provide a varied and interesting angling experience.